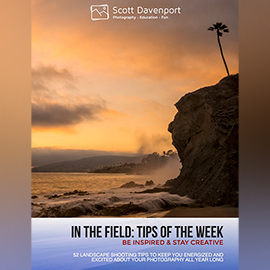 In The Field: Tips Of The Week is a collection of Scott Davenport’s go-to tips, tricks and advice for photographing landscapes. Every week he shares a new In The Field tip with a video on his YouTube channel for easy viewing on any device! Treat yourself to some inspiration and get out In The Field.